While I was at jury duty, I had a lot of time on my hands. 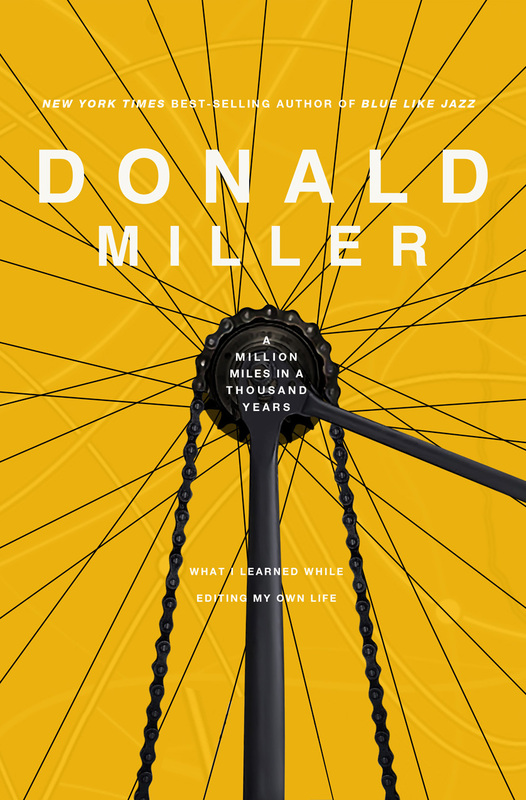 I finished reading Into Thin Air, Miss Pettigrew Lives for a Day, and Donald Miller's latest book, A Million Miles in a Thousand Years. These books were recommended by Modern Mrs. Darcy in her Beach Reading guide. I have had a revolution in reading directly because of the books she suggested. It seems like everyone I know has recommended or read Blue Like Jazz, but I never finished it. A Million Miles was the first book I've read of Miller's and I'm looking forward to reading more of his writing. What stuck out to me most about A Million Miles was Miller's honesty. He was so candid in this book I thought he was sitting in my front room talking to me. I learned a lot from the real life stories he shared while "editing his life" as the subtitle of the book states. A Million Miles is a memoir of Miller's experience creating a movie out of his book Blue Like Jazz. He worked with two people (Steve and Ben) to create the script. And as he worked with them he learned quite a bit about himself. After reading this book, I want to live a better story. I want to ensure my life isn't wasted with mediocre and safe. I'm looking forward to the adventures ahead, even if change isn't my favorite! Have you read any of Donald Miller's books? What did you think of them?